Lady Emma de Leon has just seen th eman she knows will --nay, must-- become her lover. Ambivalent as she is about her psychic gifts, she has been unable to forget the man who once came to her in a vision, touching her body with his strong hands and piercing her with desire. Now here he is, in the flesh -- and Emma can't resist risking all for this dark-eyed stranger who's accused of murder. Lady Emma de Leon was sent to the King’s court. Emma being the daughter of a traitor, despite her lineage, is viewed by the court as practically a traitor herself. She is despised and not welcomed by hardly any. Her most recent goal is getting her younger sisters case looked at and seeing if she can be freed from the convent and returned home. While attempting to get an audience with the King, she meets a mercenary for the King, Darian of Bruges. The King’s brother accuses Darian of murder, that was previously condoned by the King since the man killed was an enemy. However, Darian was innocent of the charges and would have been hanged but then Emma steps forward. Emma knew that Darian was innocent, and she knew that he would be in her future. 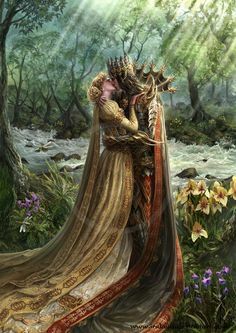 So by claiming they were ‘together’ she ends up being married to Darian by the King’s command. Darian and Emma are then sent to a country estate. 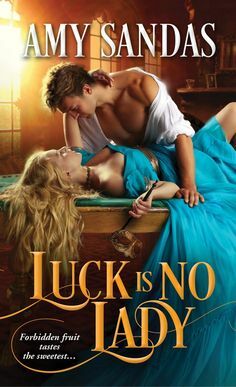 Emma and Darian plan on an annulment, but when circumstances force them to work together by traveling back to London and then to the convent, they soon discover desire and a love they will have to fight for. Darian of Bruges, is Finnish and has become a mercenary, but it has been a matter of survival. Darian’s family was murdered and he had to pick up the pieces that were left and make a fresh start. He was trained and reared by his close friend William. Darian, even though, he is a mercenary only kill when absolutely necessary and only the person is evil and needs to be killed. He follows orders and is content with his life. Until he is betrayed by one of the mercenary band he runs with. Now he is shocked that a stranger, a woman of high rank is protecting him. Even though he resents being forced to marry, he also realizes it was the only way. Darian is a hero that is rough around the edges, but soft as a teddy bear. I grew to really admire his strength of will and his fighting spirit. He never gives up on his investigation to find the real murderer. He is true to his word and has affection for a certain wolf dog…Rose. I love how passionate he is at times, loyal and driven. Our heroine of the story, is Lady Emma, the middle of the Leon sisters. Emma has a powerful birthright. Her parents were both of noble blood, and her ancestry could be traced back to King Arthur. But because of her fathers ‘betrayal’ her whole family is viewed less than that. In the first book we are introduced to Emma, and now we get to see her in full form. Emma has a powerful gift or a curse. This curse happens whenever she gazes or even glances into water, she sees a vision. If she blocks that vision she gets extreme headaches. But she views these visions as curses because early in her life, it showed only negative. She doesn’t trust in her gift and hates that she has to live with it. Emma is determined to save her sister. Her baby sister has been worrying her because the letters she has received don’t sound like the wild child she and her older sister raised on their own. Emma is a heroine that acts on impulses. She takes action in doing what is right, not what is easy. I loved her affection she has for her family. She isn’t afraid to open herself up to new experiences. She has an adventurous spirit that is engaging. 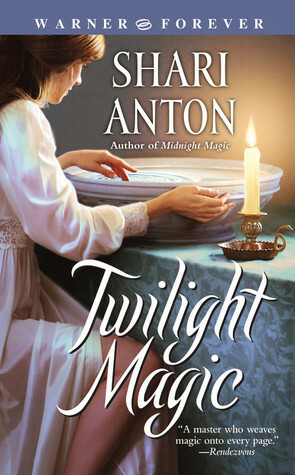 Twilight Magic is the second book in this trilogy and once again Shari Anton had me hooked into this one. This is set in the Norman Era, mid 12th century. The historical context was one of my top favorite aspects of this story. Its obvious that the author really researched out the time and the culture. We are introduced to the King and Queen’s court, and the various complex issues that resided there. We also see use of nobleman, knights, mercenary’s, and Bishops. I really couldn’t get enough of being drawn into this historical world that was pictured in such a way that made those tiny details come alive. Twilight Magic also has a mix of magical elements that really add depth to this story and the series as a whole. What is most interesting, was seeing a different magical gift. A gift of seeing the future. Even though Emma despises her gift, this gift leads her to Darian, who will be her husband. At first these two are at odds, with them being forced to marry, they aren’t exactly willing to even try to make it work. Even though they have some sparks, they both want an annulment. But their relationship changes as they work together to solve a mystery. This is where they really blossom, and they begin to fall in love with one another. Although it is not quick paced, its more even paced, not too rushed but not too slow. What I found most intriguing about this book was seeing the various elements come into play and seeing how it works together. And we do see more of the younger sister, Nicole. She is one of my favorite side characters….other than the dog “Rose”. Nicole is so energetic and lively and that seeps out to the reader. Its fun to see a young girl, blossom even more in this story, and see the changes in her from the first book to this second installment. I can hardly wait to grab up the third book. 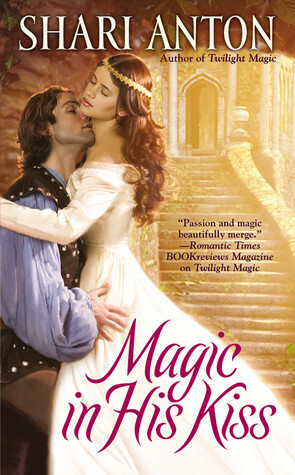 Twilight Magic was such a moving story and I loved the storyteller and her ability to create a beautifully crafted romance that is zesty, heartwarming and engaging from beginning to end. I find this cover to be so elegant in some ways. 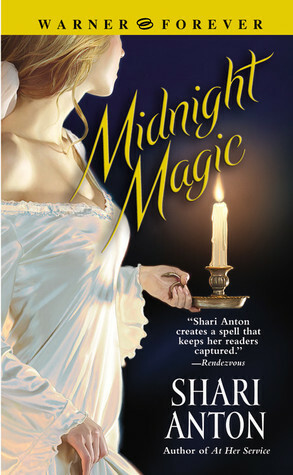 I love the bowl of water (which relates to our heroine’s visions) and lovely nightgown and the candle is a good touch. Twilight Magic is an enthralling love story that this talented author creates for us. Stimulating in rich history, mixed with powerful magical elements and seeing two strangers fall in love with each other without meaning to. A POWERFUL STORY TO WIN YOUR HEART! !